PAAMS is designed to provide sea-based protection against hostile aircraft, tactical ballistic missiles and cruise missiles. It is a 360-degree omni-directional system that can provide multi-layer air defense for PAAMS-equipped vessels and area protection for a fleet of nearby ships. [i]The air defense platform is capable of defeating saturated attacks from modern air threats including sea-skimming anti-ship missiles, diving anti-radar missiles, and fighter aircraft. [ii]Currently, PAAMS is equipped by six British Type 45 destroyers (PAAMS is known as Sea Viper by the British Royal Navy), two French Horizon-class frigates, and two Italian Horizon-class frigates. For long-range surveillance and tracking, PAAMS utilizes the S1850M radar, an upgraded version of the Dutch SMART-L radar, which allows vessels equipped with PAAMS to identify and track aerial threats. 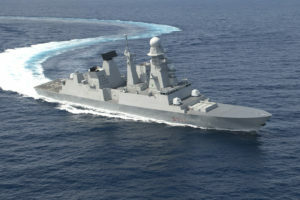 Once a threat is identified by the S1850M long-range radar, the fire control radar, EMPAR multifunction radar on Horizon-class frigates, and SAMPSON multifunction radar on Type 45 destroyers, is engaged to provide information on the target’s trajectory and calculate a firing solution. To engage a threat, Aster 15 and Aster 30 interceptors are launched autonomously—in quick succession if needed—from Sylver Vertical Launching Systems, which can house up to eight Aster interceptors in one launch tube. [iii]The interceptors are integrated with the multifunction fire control radar and command and control system to maneuver and intercept aerial targets. Both Aster 15 and Aster 30 interceptors use the terminal dart, which is a lightweight, highly maneuvering missile equipped with a RF seeker to execute hit-to-kill intercepts. [iv]The highly maneuverable Aster interceptors—also used by the French and Italian SAMP/T air defense system—are ideal for intercepting modern maneuvering air and cruise missile threats. 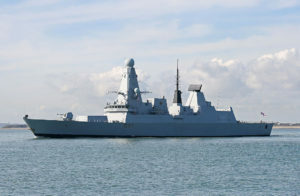 Commonly referred to as the European counterpart to the U.S.-made Aegis Combat System, PAAMS allows the United Kingdom, France, and Italy to defend their naval forces against modern and numerous aerial threats using domestically produced technology; without having to rely on American defense technology. 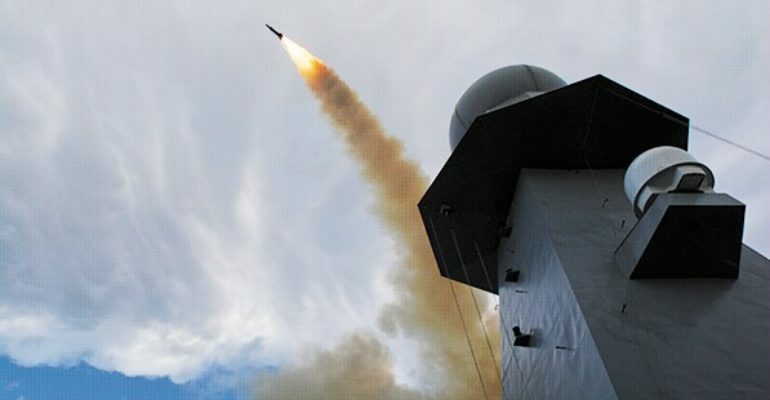 Similar to the American Aegis Combat System, PAAMS is able to counter modern aerial threats such as Russian cruise missiles and combat aircraft. The system is interoperable with NATO’s Integrated Air and Missile Defense System and able to send and receive tracking information on air-breathing and space-based threats. Russia’s recent military modernization and creation of anti-access/area-denial (A2/AD) “bubbles” in the Baltic and Black Seas have revitalized the importance of NATO’s collective air and missile defense capabilities. To maintain deterrence credibility in the face of Russian A2/AD, it is important that NATO forces have the means to counter Russian offensive and defensive weapon systems, especially when operating within contested regions. The PAAMS system, with its modern Aster interceptors capable of countering a range of modern Russian cruise missiles and combat aircraft, serves as the ideal weapon system for operating within Russian A2/AD bubbles.